Thisis50 & Young Jack Thriller recently spoke with G-Unit for an exclusive interview! G-Unit speak on getting back together, Kidd Kidd being added to the group, people thinking Yayo is a bad guy, Banks not being visible enough & much more! G-Unit speak on getting back together, Kidd Kidd being added to the group, people thinking Yayo is a bad guy, ... Banks not being visible enough & much more! Visible - Endless Hip Hop - Expanding the HipHop Game. 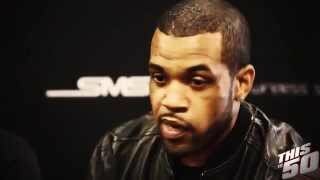 G-Unit Speak on Getting Back Together; Kidd Kidd; Banks Not Being Visible Enough. Follow: Endless Hip Hop – Expanding the HipHop Game. © 2015.